The Potteries Fly Tying Club was established in 1985, with the aim to promote the tying of fishing flies by passing on the knowledge and skills that are present within our club. For absolute beginners, our tutors will take you step by step through the various stages required to enable you to appreciate the basic techniques of fly tying. You will then be equipped to apply these techniques to most of the fly patterns that you may choose to tie. For those who already have the basic techniques to hand, our tutors will encourage you to tie flies that you perhaps thought you were unable to master, such as some of the small flies used on our rivers and streams. 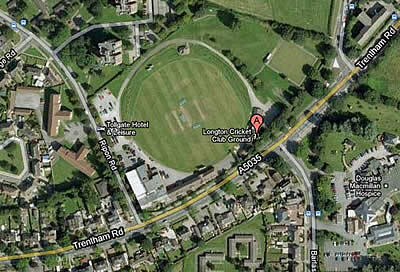 Each year, from the first week in October until Easter we meet on a Monday evening at 20:00hrs in the informal and friendly atmosphere of Longton Cricket Club (see map). Monthly we have a guest speaker for your enjoyment; these speakers vary from fly fishermen and fly tiers to authors and writers of magazine articles. On these guest evenings a good buffet supper is provided and the cost of all this.......................£27 per annum. ©2018-19 Potteries Fly Tying Club. All Rights Reserved.